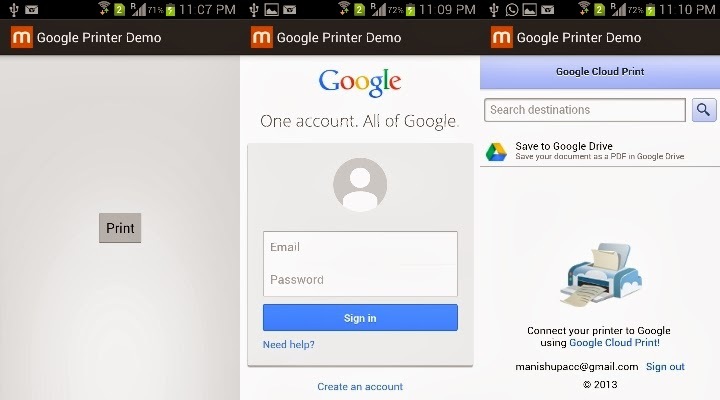 1)Login with your gamil-id in your desktop and add your printers in your browser. 2)Create a demo app and put below code. 3)Add Internet permissions and read storage.